Terese Finegan, Downtown Caloundra Curator, is coming to speak at the meeting this week to discuss the Sunshine Coast Council's plans for Caloundra including the incorporation of a Heritage Centre. As you may have heard, to get the project up and running there is a plan to reinvent the Transit Centre as an Arts and Heritage hub, with the introduction of “Caloundra Greeters”. This is a chance for our club to be involved early in the project as we showcase Caloundra and heighten the profile of Rotary. Please come to the meeting to hear about the exciting changes in Caloundra, and if you are interested, how you can be involved, and bring any other interested parties. Also a reminder that there is potential for partnership with the Rotary Club of Caloundra, so President Peter Davis and Director of Community Services James Condon will also attend. the long term plan for the Town Square. what will happen with the Transit Centre. the Horizon- Councils Arts and Culture festival. 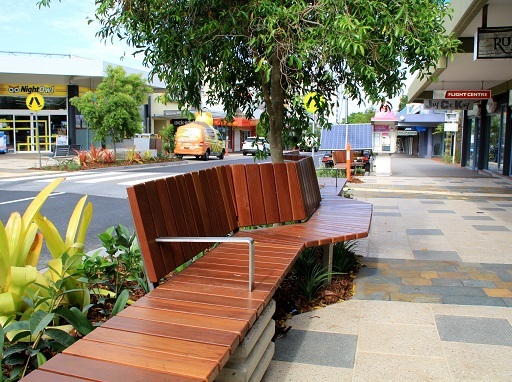 Caloundra Greeters - what the project will entail.